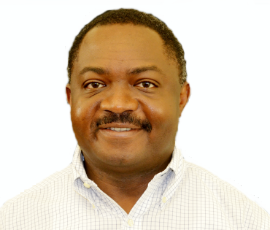 Born in Cameroon, West Africa, Dr. Jean-Pierre (JP) Nziga graduated from the prestigious Cameroonian Polytechnic Institute. He moved to the United States in 1999 to further his education, earning a Master's Degree in Computer Science from Lamar University, TX and a Ph.D. in Computer Information Systems, with a concentration in Information Security from Nova Southeastern University, Fort-Lauderdale, FL. He is currently employed by the Nielsen company, a job he has held since 2004..
Jean-Pierre joined the Ivory Club in 2009, he has worked tirelessly over the years to advance the clubs programs. He currently serves as the President of the Organization.